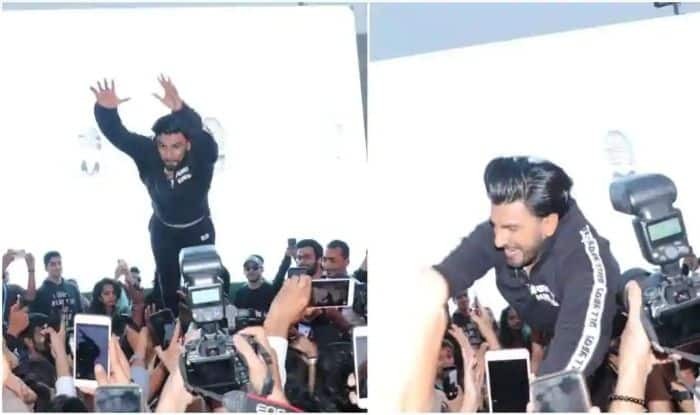 Ranveer Singh who is known for his energy was recently slammed by netizens for leaving many fans injured at the finale day of Lakme Fashion Week with an impromptu stage dive. Many tweets stated that the actor had injured many while jumping. “My friend got a really bad sprain on his neck because of your stupid act. You are a married man now… Grow up a bit,” read a tweet. Another tweet read, “Can any common man jump like this? It would be crime. Now its okay bcoz its #Ranveer! Not fair, this is childish & foolish act, he need to grow up. Such incidents can lead to disasters like stampede”. Ranveer’s verified account which read, “I will be mindful henceforth. Thank you for your love and concern”. This is not the first time that Ranveer stage dived. He had done it earlier as well at the music launch of Gully Boy in Mumbai. Another impromptu move of his was on the release day of Simmba in December when he went around different movie theatres to see the audience reactions and also addressed the media atop huge film banners outside theatres. Gully Boy also stars Alia Bhatt. This is the very first time that the duo is sharing screen space. In her interview to IANS, director Zoya Akhtar talked about pairing the two actors on screen. She said, “I am sure a lot of people want to pair Alia and Ranveer. We wrote the part with Alia in mind and Ranveer in mind. So there was no question and we loved that they both said ‘yes’”.